Silas is using Smore newsletters to spread the word online. Welcome to Quick Fixes Law Firm! Our mission is to help you repair your life as quickly as possible. We know its hard to be involved in a lawsuit or any other court case. We're here to help make it easier for you. To help familiarize our clients with the court system, we have created a step-by-step procedure of what happens while you're in court. Most court cases (especially juvenile cases) begin with a complaint. A complaint charges a perpetrator with committing a crime. This complaint will be given by the plaintiff, the party who initiates the lawsuit. The defendant is the accused person in a lawsuit, or the person who the complaint is filed against. After the plaintiff files a lawsuit, the defendant will receive a summons. 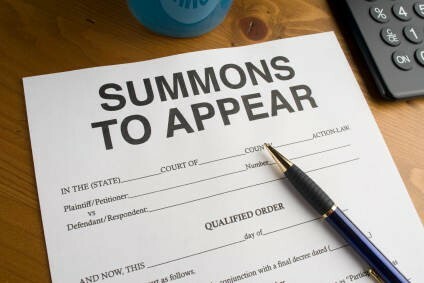 A summons is a legal order to appear before a judge. After this, the defendant and the plaintiff will have to appear in court and the judge will decide what to do next. At this point, both the plaintiff and the defendant will probably have appeared in court. They issue their pleadings, the formal documents stating the positions of the plaintiff and the defendant. The judge will then have a pre-trial conference with them. During this time, the judge will establish a time frame for the case and set a start date. This helps the judge to manage the case. At this point, the plaintiff and the defendant may attempt to resolve the dispute without taking legal action, or litigation. They can either choose to mediate or arbitrate. Mediation is a process through which a third, neutral party helps the disputing parties reach a satisfactory solution for both of them. Arbitration also involves a third party, but this party acts as a judge and a jury and only one person benefits. Both of these take place outside the judicial system. The last step in this part of the justice system is the trial. If the plaintiff and the the defendant fail to resolve the case with either mediation or arbitration, they will proceed to the trial. 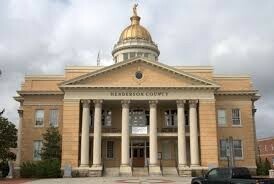 This is where the judge hears the arguments of both parties. A jury may also be present to decide the outcome of the case. If a jury is not present, or the case in one for a juvenile delinquent, a judge decides the outcome. This can only be done after the preponderance of evidence. This is when the judge examines the evidence and decides if there is enough to convict the defendant. After the arguments are made, the case proceeds to the final step in the justice system. Both parties will appear in court if they have not resolved their dispute. This can be done through either mediation or arbitration. A judge or a jury will determine the outcome of a case that has progressed to this level. The judge or the jury will give the verdict. This may send the accused to jail, force them to pay a fine, or set them free. At the end of the trial, the judge or jury issues the verdict, the judgement of the accused. This could send the accused to jail, or punish them in a number of other ways. If the defendant thinks that something was done wrong procedurally during the trial, he has the right to appeal, or petition to get a higher court to take the case and review the procedures done during the original case. 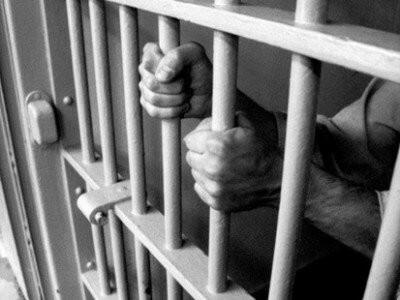 is the defendant is convicted, he will receive jail time, rehabilitation, fines, or in extreme cases death. If he is found innocent, he is set free and does not have to serve any time. This concludes the legal action unless the case is appealed, in which case a higher court will continue the process. Otherwise, legal action is over and the case is closed.